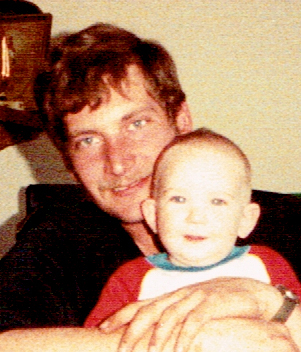 Anchorage Police are asking for help from the public in solving a cold case homicide that occurred over 32 years ago. On October 19, 1985 at approximately 12:22 am, APD Officers responded to a shooting at 8900 block of Forest Village Dr. Upon the Officers arrival they discovered the body of Douglas Cleaves, 25, who was dead from multiple gun shots. Witnesses say that just after midnight there was a knock on the door of their residence and the victim’s sister opened it and was confronted by a person wearing a mask, gloves, and tan colored trench coat. The person was armed with a rifle and stepped inside and shot the victim several times and turned and fled. The suspect was described as thin, 5’6” to 5’8”, unknown if male or female. Anyone with information as to the identity of this person is asked to call Anchorage Police at 786-8900 or to remain anonymous and be eligible for a cash reward, call Crime Stoppers at 561-STOP or submit your tip using this secure website. A $5000 reward is being offered for the arrest and indictment of the person or persons responsible for the murder of Ian Alexander Bobich who was shot to death outside a home on Government Hill on October 24, 2016. Bobich left behind his fiancé and two children. The reward fund, established through Victims for Justice, is being offered jointly between Anchorage Crime Stoppers and the victim’s family--mother Maureen Costello and step-father Mark Hodl. 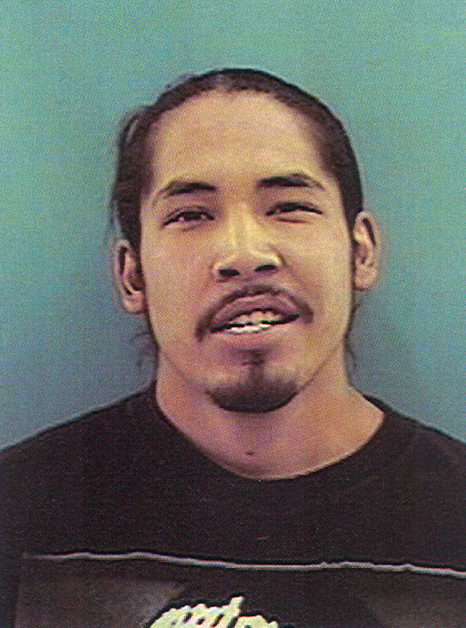 Unsolved Fairbanks Homicide- John D. Kavairlook, Jr.
Fairbanks Police are requesting the public’s assistance in identifying four people police would like to question regarding the homicide of John D. Kavairlook, Jr.
On May 17, 2015, Mr. Kavairlook Jr., 23, was fatally shot in the parking lot in front of the Walgreens adjacent to the Rock n Rodeo bar on the <?xml:namespace prefix = "st1" ns = "urn:schemas-microsoft-com:office:smarttags" />Old Steese Highway. The shooting occurred following an altercation with a black male adult inside the bar. Police seek the identity of the male involved in the altercation. He is described as dark complected, 5’8” to 5’11” 200-230 pounds with a stocky build and closely cut short hair. 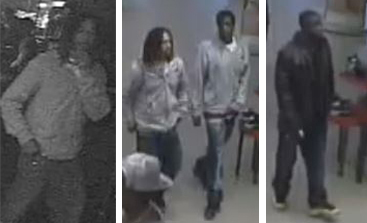 Police also seek the identities of the three other black adult males, one of whom fired multiple shots at the victim. Kavairlook was struck several times and died at the scene. It is believed all four black males left in a vehicle together. If you have information as to the identity of the persons involved in the murder of John D. Kavairlook, Jr., call Fairbanks Detective Malloy at 907-450-6557 or email ajmalloy@ci.fairbanks.ak.us. 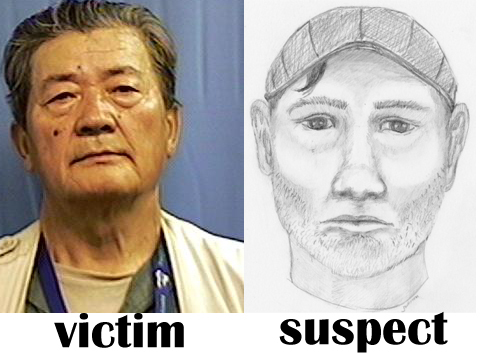 Anchorage Police need your help in identifying the person responsible for a double homicide which occurred over two years ago on Monday, March 10, 2014. Three people were camping inside a tent in the area of 5th Avenue and Karluk Street at about 6 PM when a lone male entered the campsite, pulled the tent door open and proceeded to fire several shots at the people inside. As a result of the shooting, Mae Melovidov, 47, and Robert Workman, 55, were killed. The third person was critically injured, but survived the assault. The suspect fled the scene on foot and remains at large. If you have information as to the person responsible for this double homicide, call Crime Stoppers at 561-STOP or submit your tip anonymously at using this website. Anchorage Police are still investigating Hanson’s death, but are asking for help from the public. Hanson was found dead inside his vehicle on January 23, 2014, in a parking lot located at the 2600 block of <?xml:namespace prefix = st1 ns = "urn:schemas-microsoft-com:office:smarttags" />Spenard Road. Detectives are now releasing that Hanson died as a result of a gunshot wound. 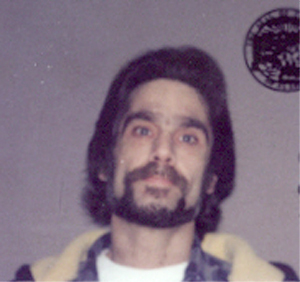 Circumstances leading up to Hanson’s murder are unknown at this time. If you have information as to the person(s) responsible for the death of Aylett Hanson, call Crime Stoppers at 561-STOP or submit at tip using this website. Anchorage Police are asking for help from the public in solving a cold-case homicide that occurred over 20 years ago. 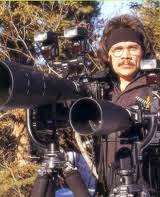 On May 29, 1993, APD officers responded to a shooting at the Eagle`s Nest Hotel, located at 4110 Spenard Road. Upon entering one of the rooms, officers discovered the body of Deborah Ruth Lawson who was dead from a single gunshot wound to the neck. Witnesses say they heard an arguement shortly after midnight followed by a single a gun shot; several people were seen fleeing from the room. Detectives interviewed multiple suspects and witnesses, but were unable to make an arrest. If your tip results in an arrest, Crime Stoppers will pay $1000. Additionally, the victim`s family is offering a $10,000 reward for the conviction of the person responsible for this crime. 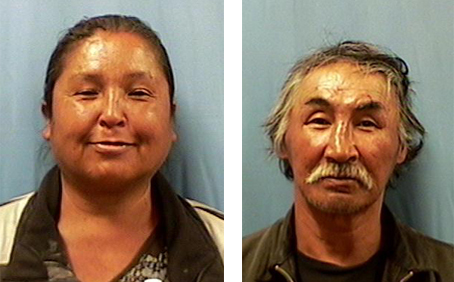 Anchorage Police are investigating a double homicide that was discovered on January 13, 2013. 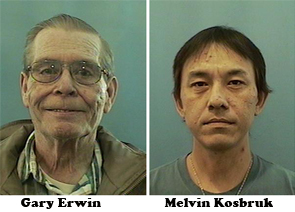 Roommates Melvin Kosbruk, 28, and Gary Erwin, 67, were found dead inside their apartment located at the 500 block of Irwin street. They were discovered by the landlord after a concerned family member called to check on their welfare. Detectives are not releasing the cause of death at this time. If you know who committed these murders, or have information concerning motive, call Crime Stoppers at 561-STOP or submit your tip anonymously using this website. On April 18 at 5:49 p.m. Anchorage Police responded to a shooting at the R&R garage located at <?xml:namespace prefix = st1 ns = "urn:schemas-microsoft-com:office:smarttags" />514 W. Fireweed Lane. A lone gunman entered the garage and attempted to rob the service manager, Michael Curry, age 42. During the robbery, the suspect shot Curry and a second employee before fleeing the business in a dark colored mid-size SUV. 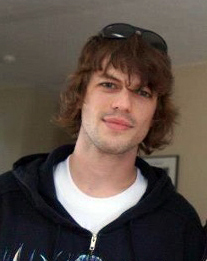 Curry died at the scene; his co-worker was treated at a local hospital. The suspect was described as a white male, about 6’ tall, 180 pounds with a slim build. Witnesses report the suspect spoke with an eastern European accent. If you have any information as to the person responsible for this homicide, call Crime Stoppers at 561-STOP or submit your tip using this website. On May 19, 2010, at 12:30 a.m., Anchorage Police were dispatched to the 1500 block of <?xml:namespace prefix = st1 ns = "urn:schemas-microsoft-com:office:smarttags" />Columbine Street after passers-by discovered a male adult on the sidewalk who was severely injured. Officers arrived to find 24-year old Edward Yazzie bleeding from multiple stab wounds; he was declared dead at the scene. On January 14, 2010, Anchorage Police responded to the 11000 block of <?xml:namespace prefix = st1 ns = "urn:schemas-microsoft-com:office:smarttags" />Polar Drive in reference to the death of 44 year-old Steven Hardies. The victim was found in his kitchen at about 12:30 p.m. by his wife at who left work to check on him after several unsuccessful attempts to reach him by phone. Detectives say there were signs of a struggle, but are withholding the cause of death at this time. On December 12, 2009, at 2:30 a.m., Anchorage Police responded to the report of a shooting at the Inlet Inn, located on the 500 block of H Street. Upon arrival, officers found two adult male gunshot victims and the front desk had been robbbed. The front desk clerk sustained non-life threatening injuries. His friend, Sang In Chun, 76, was sitting on a couch in the lobby when he was shot by the robber. He died while undergoing surgery at the hospital. The suspect was described as a male having olive colored skin. He is between 25 to 35 years old, 5’8” to 5’ 10”, thin build, short beard stubble. He had black hair that was possibly wavy, unknown length. He was wearing a black or blue ball cap with some type of big white emblem on the front that reminded the victim of a star, however it wasn’t a star. He did not think it was the emblem from a sports team. Anyone with information as to the identity of this person is asked to call Anchorage Police at 786-8900 or to remain anonymous and be eligible for a cash reward, call Crime Stopeprs at 561-STOP or submit your tip using this secure website. Anchorage police are investigating the death of a man found inside a burning apartment located at 6135 East Tudor Road. The fire broke out at about 6:20 p.m. on Saturday, January 26, 2008. 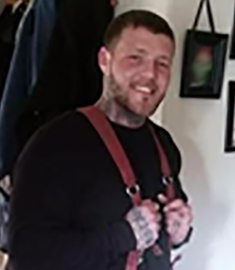 After the blaze was extinguished, firefighters discovered the charred remains of the former tenant, 29-year-old Brandon Wilson. Wilson had lived in the apartment with his wife until January 22, 2008, when a small fire forced them to move out. Detectives believe this fire was intentionally set and are investigating the death as a homicide. On Monday, December 3rd 2007 at about 9:30 a.m., Anchorage Police responded to a <?xml:namespace prefix = st1 ns = "urn:schemas-microsoft-com:office:smarttags" />Bear Valley residence where an Anchorage man was found to be deceased. The body of John Pezzenti, Jr., 55, was found on the floor of his home at the 15000 block of Francesca Drive. Detectives believe he was murdered sometime between 7:00 p.m. Saturday December 1 to 1:30 p.m. Sunday, December 2. At this time, detectives are not releasing any specific details as to the cause or manner of death of John Pezzenti, Jr. These details may be needed to confirm likely persons of interest and or suspects should detectives develop leads into this death. 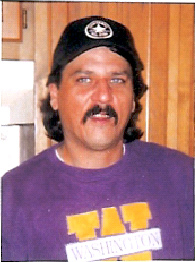 Anyone with information as to the murder of John Pezzenti, Jr. is asked to call Anchorage Police at 786-8900. To remain anonymous and be eligible for a cash reward of $1,000, call Crime Stoppers at 561-7867 or submit your tip securely on this website. 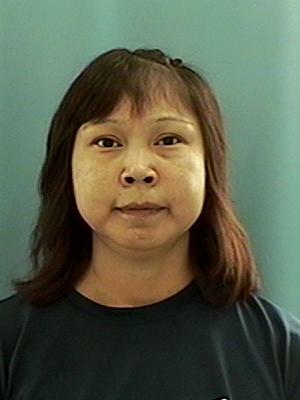 Anchorage Police need help in identifying the person responsible for the death of 35-year-old Martha Toms. On September 22, 2005, Toms was found underneath a picnic table in Lyons Park in Mountain View. She was beaten severely, but still alive. Toms was transported to a local hospital where she died a short time later. If you have information as to the person(s) Toms was with prior to her death, or the person responsible for her death, call Crime Stoppers at 561-STOP or submit your tip anonymously using this website. Anchorage Police are looking for information to help solve the murder of Oleg "Al" Bohlouli which occurred in early July 2005. Bohlouli, 45, was shot and killed inside his home on Lucky road at about 3a.m. on July 3,2005. A witness inside the home told police that an unknown man had broken into the home, shot Bohlouli, and fled. If you have information as to the person responsible for the murder of Oleg "Al" Bohlouli, call Crime Stoppers at 561-STOP or submit your tip anonymously on this website. The family is offering a reward in addition to the $1,000 reward being offered by Crime Stoppers. 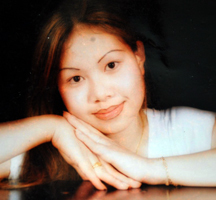 On November 8, 2003, 15-year-old Ann Saephan was with a group of friends in the parking lot of the Space Station Video Arcade, located at 2710 Spenard Road. Unknown person fired shots, one of which struck Ann, killing her. Anyone with information about the incident is asked to call Crime Stoppers at 561-STOP or submit your tip anonymously on this site. Anchorage Police are investigating the death of 32-year-old Michelle Rothe whose remains were found on September 6, 2003, in the waters of the Turnagain Arm near the Oceanview residential subdivision. 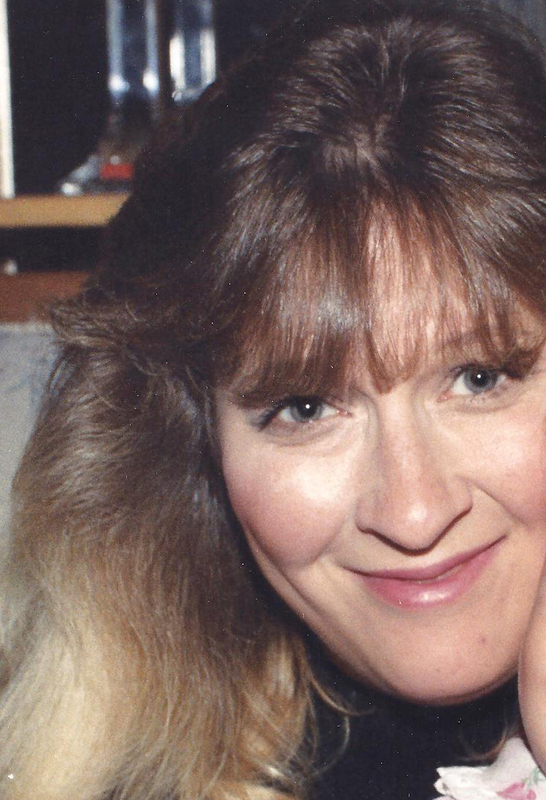 Detectives believe she was murdered sometime between June and July 2003. If you have information as to the person responsible for the murder of Michelle Rothe, call Crime Stoppers at 561-STOP or submit your tip anonymously on this web site. 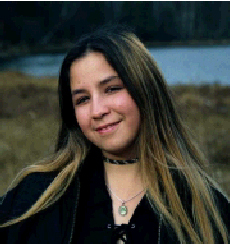 Anchorage Police are investigating the murder of 22-year-old Desiree Michelle Lekanoff whose partial remains were found on June 18, 2003 in the waters of the Turnagain Arm near Beluga Point. Lekanoff had been listed as a missing person since December 2001. If you have information as to the person responsible for the murder of Desiree Michelle Lekanoff, call Crime Stoppers at 561-STOP or submit your tip anonymously using this website. Anchorage Police are looking for the person responsible for a shooting that claimed one life and wounded two others. On Saturday, October 12, 2002, just before 2:00 a.m., an arguement ended in gun fire in the parking lot of the VFW club located in Muldoon at 101 Oklahoma Street. 21-year-old Louis DeJesus III was killed during the shooting. If you have information as to the person responsible for the murder of Louis DeJesus III, call Crime Stoppers at 561-STOP or submit your tip anonymously using this website. 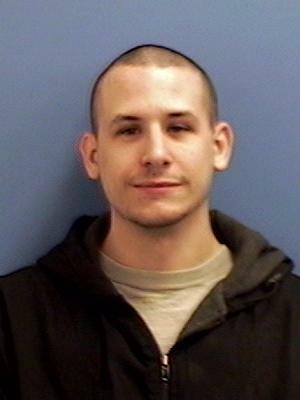 Anchorage Police need the publics help in solving the murder of Richard James Carns. 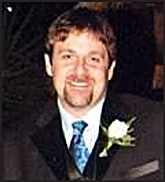 On February 19, 2002, at about 6 a.m., a man broke into the home where Carns was staying located at 1905 Orca Street. Richard Carns confronted the intruder who pulled out a gun and began shooting. 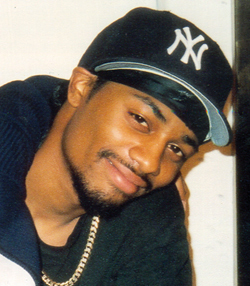 Carns was fatally shot and died at the scene. Witnesses describe the suspect as a black male, in his mid-20`s, average height and weight. If you know who is responsible for the murder of Richard James Carns, call Crime Stoppers at 561-STOP or submit your tip anonymously using this website.